Another of my new pen pals is also an artist! 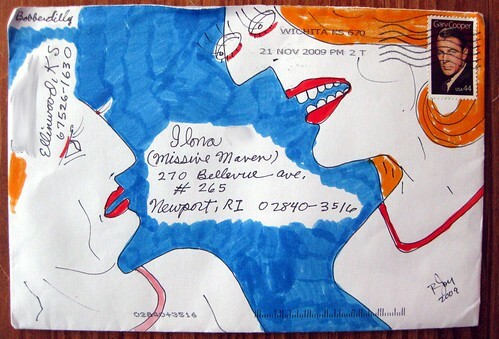 This is first-class mail art, and I was in awe when I pulled it out of my mailbox. It's like my own piece of original artwork! The letter was really special, too. It took me waaaay too long to finally write back, but I finally did. You can see more by this artist at Bobberdilly.com.